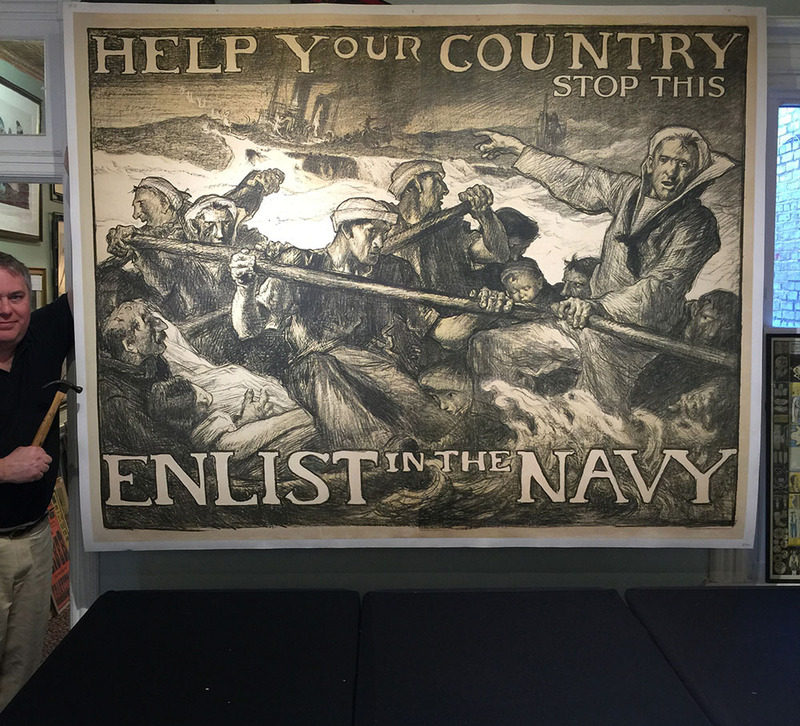 “Help your Country Enlist in the Navy” Large WWI Recruitment Poster. 62″ x 79″. Frank Brangwyn artist.